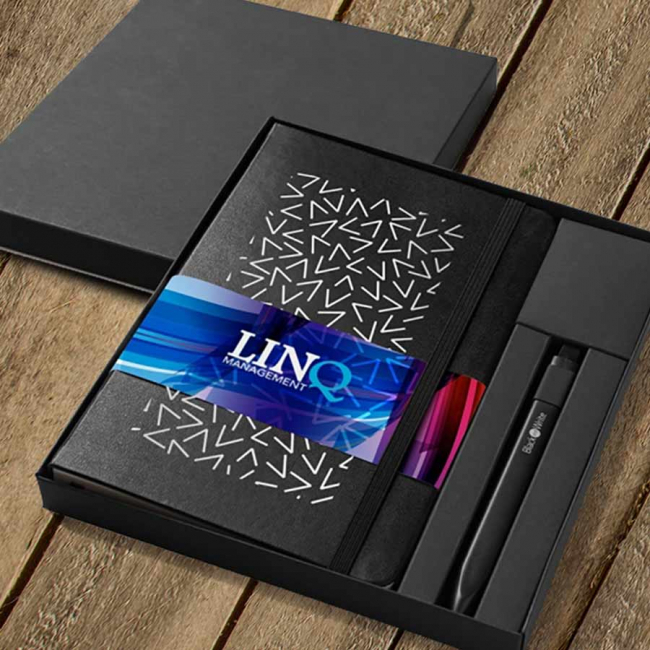 For a corporate gift with true quality and unrivalled appeal, we offer our Notebook and Pen Pack. This gift set will include your branded soft or hard cover Classic Notebook and your choice of pen from our Classic or Light Metal Pens. The box is made from high quality 380gsm Sirio Black cardboard, for added value to your gift.